I was first introduced to Melody Valve Hi FI products about four years ago. The US distributor, a very enthusiastic Hugh Nguyen at Angel City Audio, has always had excellent sounding rooms at the audio shows. Each time I expressed interest in reviewing the electronics, but the timing or circumstances of my schedule never allowed this to be possible. However, at last year’s Rocky Mountain Audio Fest, my luck and timing had changed. Truth be told, the Melody Audio room sounded pretty darn good and I visited several times; each time it impressed more and more. By the end of the show I guess I had made myself enough of a pest such that I managed to score an audition and review of the P2688 preamplifier, as well as the prodigious MN845 mono block amplifiers. 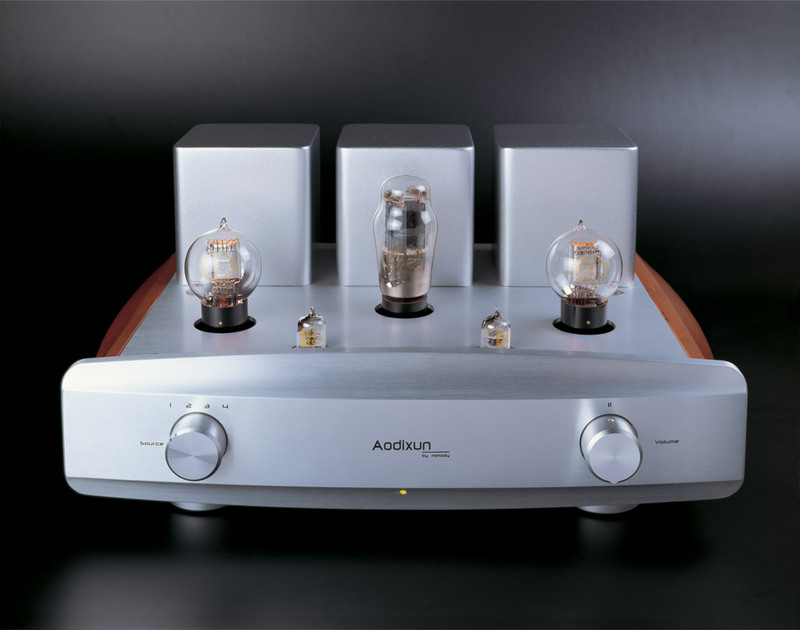 The P2688 preamplifier is the lone line stage preamplifier in this reference series. It has an MSRP of $6,999 and it is the subject of this review. True to the Melody distributor’s word, they made haste at getting the preamplifier directly to me after RMAF 2013. Three very large heavy boxes arrived at the bottom of my driveway one November day. As it turns out, the Melody Valve P2688, weighing in at just shy of 60lbs is actually a lightweight compared to their 160lb’ish (each!) power amplifier travel companions. Oh yes, I knew this was going to be another one of those back-breaking reviews! Well, thanks to very helpful (thirsty) friends and a generous supply of top flight beer in the upstairs beer fridge, the deed was done without much fuss a few days later. It is one thing to see a product over and over at a show. It’s quite another to unpack it and get a chance to really see it and examine it up close and personal. The Melody P2688 line stage is a thing of understated elegance – -the perfectly finished heavy gauge steel chassis and various transformer covers, the thick and shapely brushed aluminum faceplate, the deep rubbed finish on the wood that flanks the shapely chassis as well the fit and finish of the large purposeful feet. There is nothing about this unit that even hints of compromise or second class. The attention to detail appears to be extraordinary. 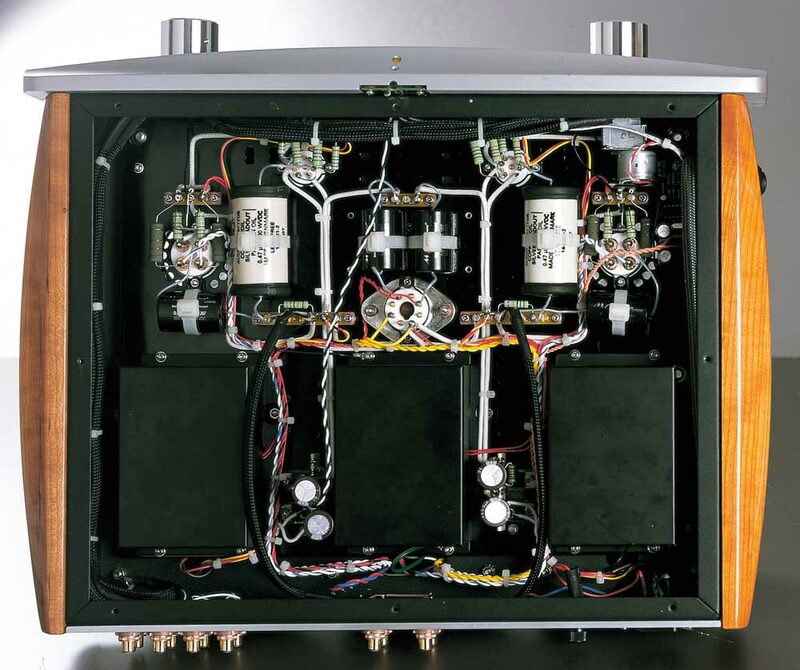 Most of the weight of the unit is in the form of three large transformers of Melody Valve’s own design and manufacture. Up front is the full complement of tubes; two 101D directly heated triodes, Melody’s own branded 274B rectifier tube, and two NOS Western Electric 403A input tubes. The P2688 has a fairly generous complement of hook up capability. It sports two sets of single-ended RCA-type outputs and four sets of single-ended RCA-type inputs. Unfortunately, there is no balanced connection option. This fact somewhat cramped my style during the review period as I will relate further in this essay. The fit and finish on the rear chassis is every bit as impressive and the front. The IEC socket and jacks appear to be of very high quality (though I’m not sure if they are actually brand name), and the spacing is practical in order to accommodate some of the crazy huge cable ends some cable guys have begun to use as of late. 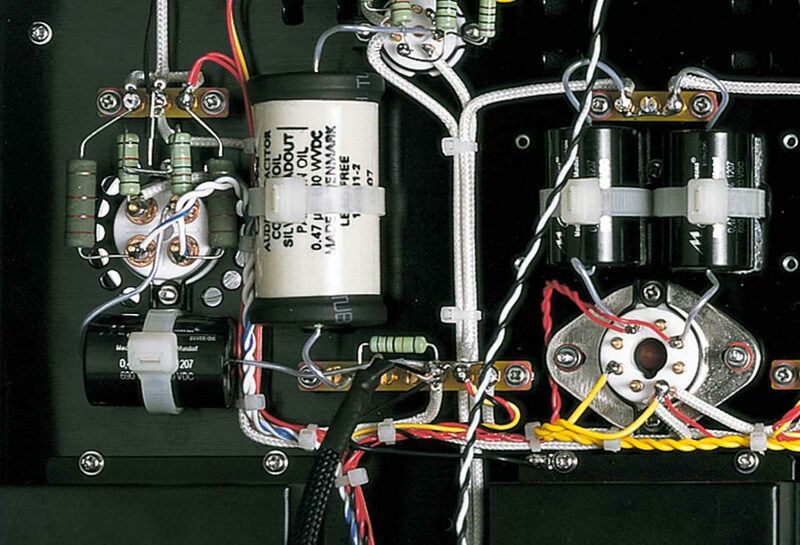 Under the hood, the preamp is just as elegant. All wiring is point-to-point. Cable routing and tying demonstrates that same high level of attention to detail. Parts quality is also first rate with the implementation of Mundorf M-Cap Supreme Silver-Oil in silver Capacitors, Nichicon Gold Tune Capacitors, Solen Gold Label Capacitors, and Supreme Mundorf M-Resist Resistors.